How to find, nurture and unleash your most authentic self? There is one post tagged career development. How to Have Career Development Conversations With Your Employees? or How to Care for Your People? One of the most fundamental human needs we all share is to make meaningful progress in what we are doing. At the workplace this means knowing how does the road ahead looks, and how can we learn and grow to the next milestone on that road. If you lead people, you can coach and guide your people on the path of future success by having what I term as Career Development Conversations. Knowing that their career progression is being taken care of freeing up mental space for people, which in turn gives them the space to do well in their current roles. Career Development Conversations are a set of coaching conversations a leader can have to help people understand, prioritise and act on their long term career ambitions. People are mostly unaware of how they can grow in their careers, and as a coach you can help them figure this out. These conversations help provide clarity on how best to make meaningful progress, within or outside the current organisation. I believe one of the most important roles for a coach (and every manager is a coach by default) is to “care” for their people. And you do that by taking care of the “cares” of your people. Do you know what your employees “care” about, what they value or not value in life, and why? Do you know what motivates or drives them? Do you know what frustrates them? As a coach you can help people figure out what they “care” about. If we explore this simple yet powerful concept of “care” with our teams, it can open up a new world for them as individuals, and for us as a leader. Working with various teams across continents over the last decade and a half, I have seen that people are often not aware what they “care” about, and what matters the most to them. Career Development Conversations are deep and meaningful to figure this out. They not only help people to be proactive in their career choices as they achieve important career milestones like promotions, but also leave them with a feeling of satisfaction and contribution. Leading by example is without doubt the primary way your people see and perceive your leadership. Any conversation or management practice will fall through if you don’t do what you talk about. The second best way is to continuously have these career development conversations with your people, which will create the context and form the background of everything else people do in their day to day jobs. These conversations can inspire people to cooperate in the face of business challenges. They help people align their own purposes with the larger collective purpose of the organisation, leading to accountability and co-operation instead of conflict and self destruction. There are a lot of misconceptions around career development conversations since there are different definitions of them depending on the organisation you find yourself in. Let’s clear up what I mean when I say career development conversations. Most managers / leaders I have seen in different companies don’t have these conversations at all. Companies don’t realise its importance and it often takes a backseat with the focus mostly on driving business results. Even when they are, they are not regularly reinforced and leaders are not held accountable for them. Nobody told me about these conversations either. I have learned them the hard way – making numerous mistakes as a leader and only later stumbling upon these conversations from numerous trainings and books. They are not Performance Reviews. Many people and companies equate career development conversations with performance reviews, which happen on a quarterly or half yearly basis. However, what I mean by career development conversations is the total opposite of performance reviews. Performance reviews focus on the past. Career development conversations focus on the future. Performance reviews focus on putting you in a box (of job expectations) and measuring you against the expectations of that box. 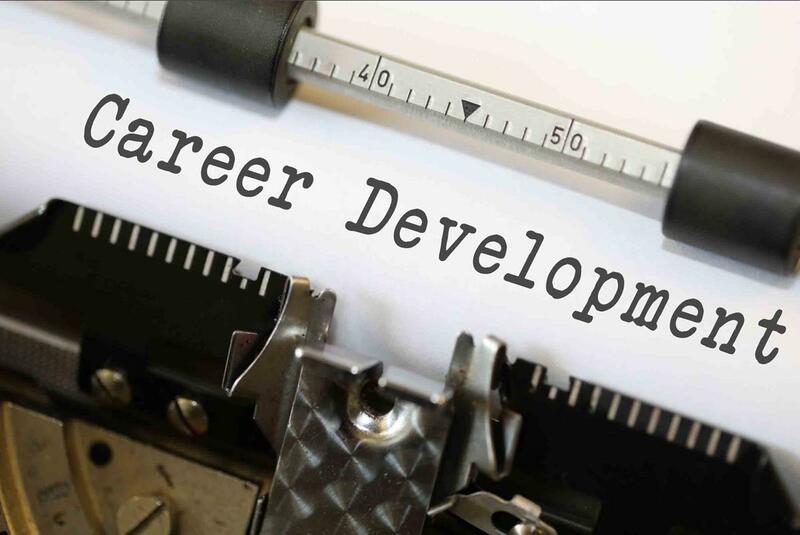 Career development conversations encourage you to get out of any defined boxes (or job roles) and define for yourself the meaning of success and contribution. They are not Short Term. Career Development Conversations are long term. Think 5 to 10 years or even longer if you can. They help people envision what their career is (or can be) all about. They go beyond material milestones and successes; and empower each person to find their own meaning at work, and define the legacy they want to leave behind. Having said the above, and keeping that as the background context, Career Development Conversations then drop back to shorter time frames of one year and less. By working on tasks aligned with the long term context, people can find new meaning and joy in their work which wasn’t available before. Needless to say, all of this results in better business results too. They are not about the next Promotion or Job Titles. Career Development Conversations can also be confused with promotion and the usual benefits that come along. I believe that while that might happen as an outcome of these conversations, they are not the end goal in themselves. The focus is on the continuous development of employees and their progression as professionals. The emphasis is on doing work which not only challenges people professionally but also leaves them with a deep sense of pride and purpose in your work. Career Development Conversations should not be taken lightly by managers / leaders. They are not just one of many tasks in your role. Infact, they are your ROLE. If you are not having these conversation, you are leaving huge potential in people and your team untapped. When done well, they can cause careers to take off. Career development conversations should not be taken lightly. I believe every task your team member does should revolve around these conversations. These conversations will set the context of everything the team member does or does not achieve. They are to careers what oxygen is to life. The intent of this conversation is to understand your people beyond their job descriptions. You can do so by asking and answering the below questions. How did you came to where you are today? What are the key moments in your life – ups and downs, successes and failures, and how each of these events have shaped you? If you think this can be hard, then you are absolutely right. Getting people to open up about their life can be a slow and gradual process as you build trust and go beyond personal barriers. How do you stand out in the world that makes you different? What are you good at doing? What do you believe you are the best at? What have you gotten noticed for throughout your career? What feels most useful? What kind of work makes you proud? Which of your tasks are most critical? What bugs you? What makes you angry or frustrated? What are your highest priorities in life? Where does work fit in? By asking some powerful questions like the above, you will help people identify their strengths and weaknesses, values and motivations, and what makes them unique and special. For me, knowing someone as a human being is such a wonderful experience as I get exposed to the personality of the person which is normally hidden in workplace conversations. Helping people figure out their True North can help clear the fog of uncertainty and clearly distinguish the path, or at least the direction, they can pursue in the future. This True North can be a lighthouse (of values) that can serve as a compass in difficult times. The next type of conversation is to build upon the above two and make it concrete in the form of a plan for where they want to go. Present them opportunities for future growth in the organisation based on their values and motivations, and not just on their talent and skills. Once you have identified opportunities which they can pursue with purpose and commitment, support them to find training to acquire any skills they need, or in reaching the right people. Work with them to create SMART (Specific Measurable Attainable Relevant Timely) objectives, which are impactful for both the organisation and the individual personally. In conclusion, I would also like to add that all the 3 kinds of conversations above never happens chronologically. You can jump between them as you feel fit, and it is a gradual process as you discover more and more about your people, and guide / support them on their way. As you discuss these questions, you also open up and answer these same questions for yourself too. These conversations are not a monologue but a dialogue. I have always found having these conversations very useful to me too, and you also end up building deeper relationships and friendships at work. And working with friends is always a breeze, while working with strangers can be painful.